Because of the lack of man power in the Nigerian ICT industry, the Npower tech for developers was introduced to empower 10,000 Nigerian software developers into the Information and Communications industry. This program is aimed at training, equipping, and positioning 10,000 Nigerian youths from various parts of the country for the local and international software market. The Npower tech teaches these young Nigerians the basics of software development and this program has a duration of 11 weeks. It also aims at training these candidates in such a way that they can survive the competition in this industry. Though, we lack software developing specialists in this country, the competition comes in the form of level of experience and expertise. Must have the zeal to learn not just in class, but by themselves too through research etc. Web development: With the present technological advancements, so many businesses need an online presence and how can they archive this? The answer is by creating a website of their own. Mind you, there are million of business out there that in the nearest future, might want to join the internet community. For this, Npower tech decided to train young individuals in this field who are learned enough to provide effective solutions in the web development industry. Do you wish to apply for the Npower? Checkout our post on the Npower online registration 2018. Are you new on this blog? Would you like to receive latest jobs/recruitment news in Nigeria? Simply allow push notification for this blog and you will get these updates daily to your mobile device free of charge. Do you know how to allow this blogs push notification? If your answer is no, just refresh this page and a black pop-up will show up. just click on the "yes" button on the pop-up to allow your browser receive these updates. 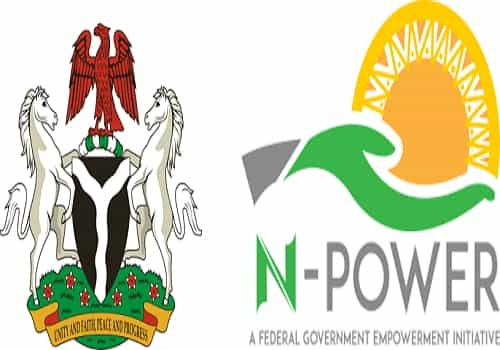 Do you have any question regarding Npower posting list, Npower tech portal etc? You can use the comment box below to ask them. Also, Don't forget to share this post with your friends using the social network icons below this post.